For other uses, see Judas kiss (disambiguation). "The Judas Kiss" is a song by American heavy metal band Metallica, the fourth single taken from their ninth studio album, Death Magnetic . 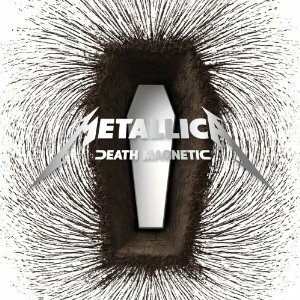 On September 8, 2008, it was made available for streaming on the band's official website, as well as a download (for Platinum Members only) from the Death Magnetic website Mission: Metallica. 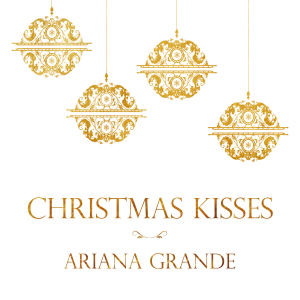 It has since been made available for purchase as a digital single in the iTunes Store. 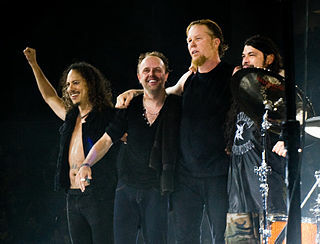 Part of the beginning to "The Judas Kiss" was also featured in an online video on the official website and Mission: Metallica revealing the album's title. The first live performance of the song was at the Trent FM Arena in Nottingham, UK on 25 February 2009 as part of their opening gig in the European leg of their World Magnetic Tour. The song's title refers to The Bible, where Judas Iscariot betrayed Jesus by kissing him. Judas Iscariot(; Biblical Hebrew: יהודה‎, translit. Yehûdâh, lit. 'God is praised'; Greek: Ὶούδας Ὶσκαριώτης) was a disciple and one of the original Twelve Disciples of Jesus Christ. According to all four canonical gospels, Judas betrayed Jesus to the Sanhedrin in the Garden of Gethsemane by kissing him and addressing him as "Rabbi" to reveal his identity to the crowd who had come to arrest him. His name is often used synonymously with betrayal or treason. Judas's epithet Iscariot most likely means he came from the village of Kerioth, but this explanation is not universally accepted and many other possibilities have been suggested. The kiss of Judas, also known as the Betrayal of Christ, is how Judas identified Jesus to the multitude with swords and clubs who had come from the chief priests and elders of the people to arrest him, according to the Synoptic Gospels. The kiss is given by Judas in the Garden of Gethsemane after the Last Supper and leads directly to the arrest of Jesus by the police force of the Sanhedrin. Ted Jensen is an American mastering engineer, known for having mastered many recordings including the Eagles' Hotel California, Green Day's American Idiot and Norah Jones' Come Away with Me. The Neighbourhood is an American rock band formed in Newbury Park, California, in 2011. The band is composed of vocalist Jesse Rutherford, guitarists Jeremy Freedman and Zach Abels, bassist Mikey Margott, and drummer Brandon Alexander Fried. After releasing two EPs, I'm Sorry... and Thank You, The Neighbourhood released its first full-length album I Love You. on April 23, 2013, via Columbia Records. The same year, the EP "The Love Collection" was released; and in November 2014, a mixtape titled #000000 & #FFFFFF. A second album, Wiped Out! was released in October 30, 2015. In March 9, 2018 a self-titled third studio album came out, preceded by the release of two EPs: Hard on September 22, 2017, which briefly charted on the Billboard 200, and To Imagine on January 12, 2018. After the release of the album, the tracks from the extended plays not included on the final tracklisting were collected in another EP, "Hard to Imagine". "I Kissed a Girl" is a song recorded by American singer Katy Perry for her second studio album, One of the Boys (2008). It was released on April 28, 2008, by Capitol Records as the lead single from the record. Perry co-wrote the song with Max Martin, Cathy Dennis, and its producer Dr. Luke, with additional production from Benny Blanco. "I Kissed a Girl" is a pop rock song with elements of new wave. Perry stated its lyrics are "about the magical beauty of a woman". The song sparked controversy for its homosexual themes. "Hot n Cold" is a song by American singer Katy Perry. The song was written by Perry, Dr. Luke, and Max Martin and produced by Dr. Luke and Benny Blanco for her second studio album, One of the Boys (2008). The track was released as the album's second single on September 9, 2008. The lyrics address an unstable romantic relationship caused by a partner's mood swings. Live from the Kitchen is the sixth studio album by American rapper Yo Gotti. It was released on January 10, 2012, by Polo Grounds Music; distributed by RCA Records. 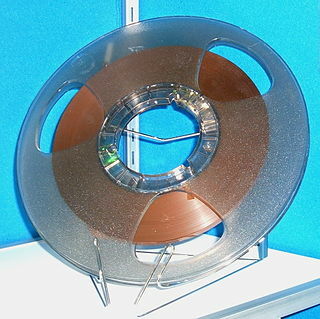 The album was supported by two singles: "We Can Get It On" and "Single". Hedley is a Canadian pop rock band from Vancouver, British Columbia. Their discography comprises seven studio albums - Hedley, Famous Last Words, The Show Must Go, Storms, Wild Life, and Hello, Cageless - one live album - Go with the Show - and twenty-seven singles, with twenty-one made into music videos. "Kiss You Inside Out" is a song recorded by Canadian pop rock band Hedley, featured on a re-issue of their 2012 album Storms. It was written by Brandyn Burnette, Lauren Christy, and Adrian Newman, and was produced by Newman. The song was first released in Canada through Universal Music Canada as the album's third single on May 17, 2012 and was subsequently released in the United States on June 12, 2012 as the album's lead single in that market. "Kiss You Inside Out" was also serviced to American hot adult contemporary radio on June 18, 2012. "Love Someone" is a song by American singer-songwriter Jason Mraz. It was released on May 19, 2014, on Atlantic Records as the lead single from his fifth studio album, Yes!. Yesterday is the debut studio album recorded by Canadian singer-songwriter Tyler Shaw, released September 4, 2015 through Tyler Ip, a label imprint of Sony Music Canada. It was preceded by the release of four singles between 2012 and 2015, including the Gold-certified lead single, "Kiss Goodnight". Shaw co-wrote twelve of the thirteen songs, including all four of the aforementioned singles. ↑ "The Judas Kiss – Single". iTunes Store. Apple . Retrieved February 15, 2013. 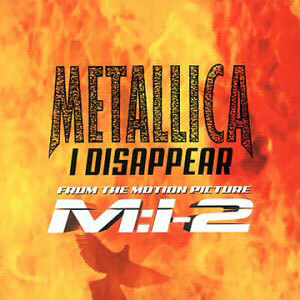 ↑ "Metallica Chart History (Canadian Hot 100)". Billboard. Retrieved May 22, 2014. ↑ "Metallica: The Judas Kiss" (in Finnish). Musiikkituottajat – IFPI Finland. Retrieved May 22, 2014. 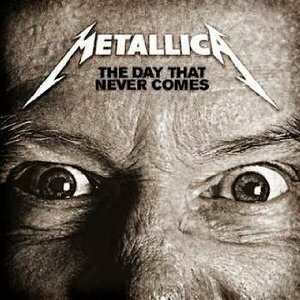 ↑ "Norwegiancharts.com – Metallica – The Judas Kiss". VG-lista. Retrieved May 22, 2014. ↑ "Swedishcharts.com – Metallica – The Judas Kiss". Singles Top 100. Retrieved May 22, 2014. ↑ "Metallica – Chart History: Bubbling Under Hot 100". Billboard . Prometheus Global Media . Retrieved May 22, 2014.